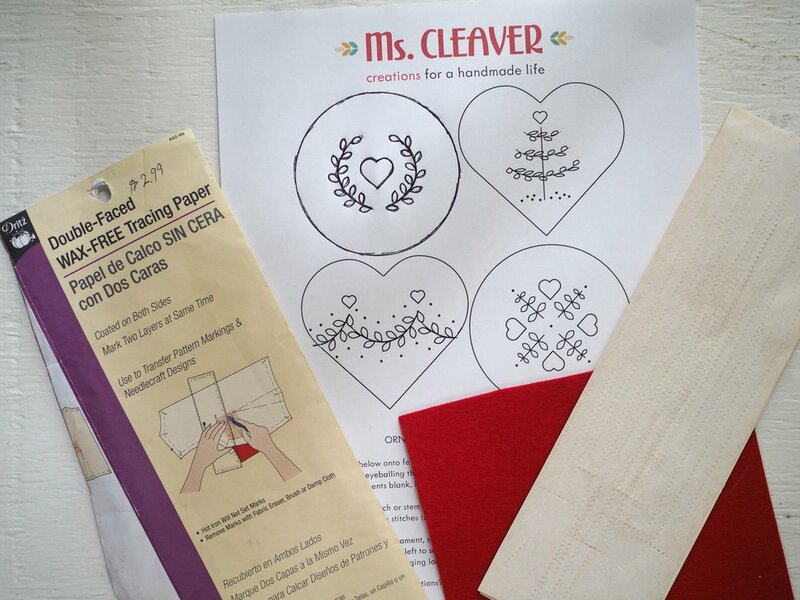 Generally, when it comes to transferring a printed pattern on to fabric for embroidery, my favorite (easy and cheap) method is to tape it to a window and trace. But what do you do if you can't see through the fabric, even with a window/light box? A pretty common notion in the sewing world, my mother taught me to mark my sewing fabric with tracing paper and a jagged edged wheel. 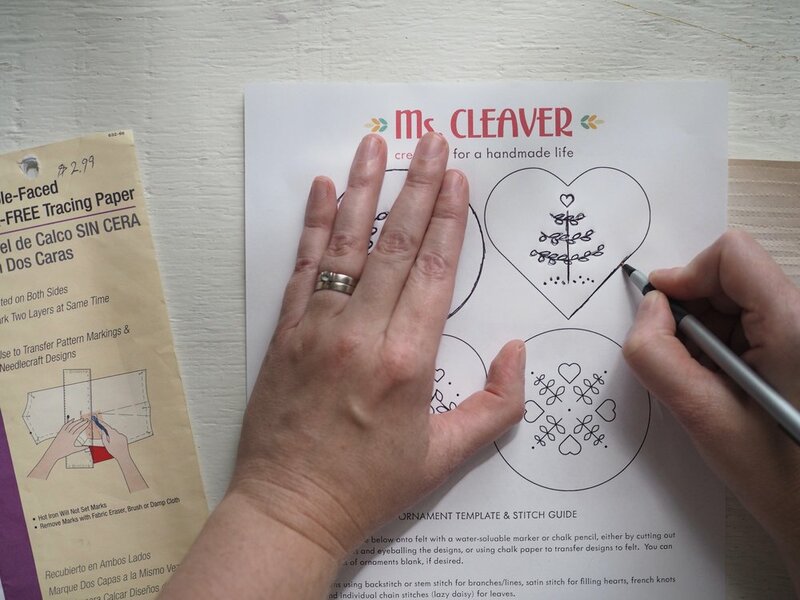 For transferring embroidery designs, we'll skip the transfer wheel and use a pen, pencil or stylus to do pretty much the same thing. A pen, dull pencil, or stylus. Something with a decent point to get details, but not so pointy you poke through the paper. Sandwich the transfer paper, chalk side down, between the fabric. Trace over the pattern using your pen, pressing firmly and going over each line several times as needed to make a clean mark. 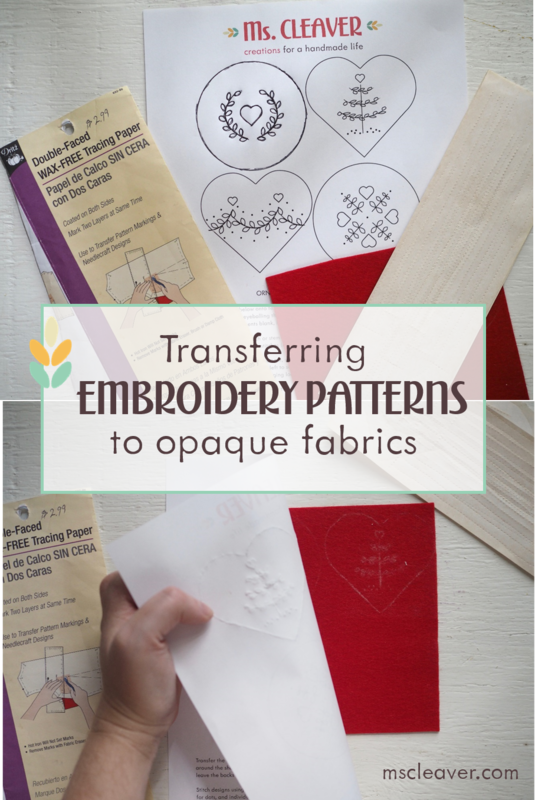 Remove pattern and transfer paper. 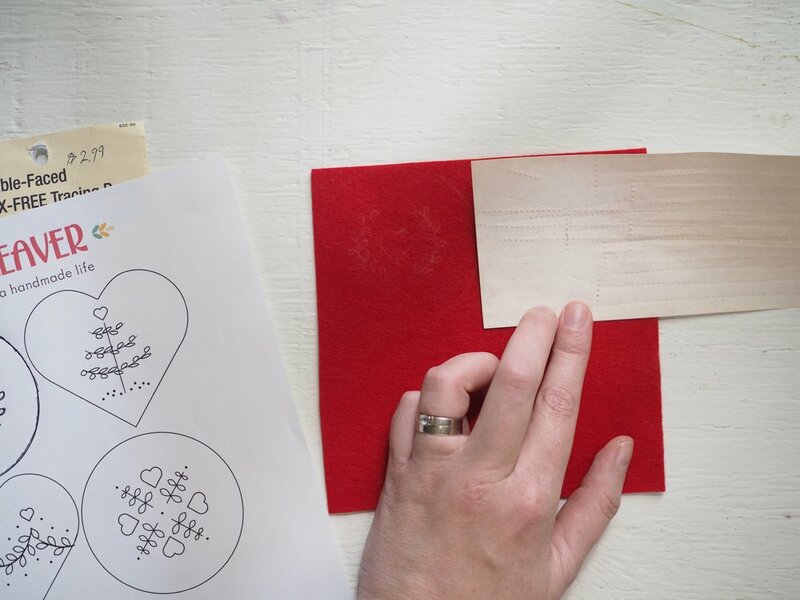 The chalk marks can be very light and easy to brush off - if desired, trace over your marks with a chalk pencil or water-soluble marker for a more clear line.